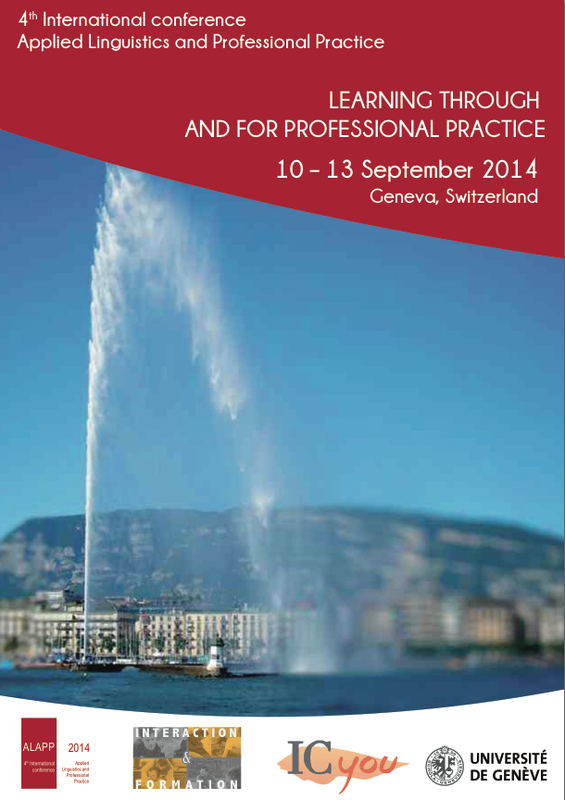 After Cardiff in 2011, Sydney in 2012 and Kuala Lumpur in 2013, the University of Geneva will host the 4th International conference on Applied Linguistics and Professional Practice. The conference aims to bring together scholars from different disciplinary backgrounds, especially language and communication research, and professional specialities (e.g., healthcare, social care, therapy, law, mediation, management, business, journalism, education). It encourages research and reflection developing interdisciplinarity, methodological diversity, inter-professional collaboration and explores the relations between language use and social practices taking place in institutional and organisational contexts. A special emphasis will be on cross-boundary collaboration and translation of research findings to ensure impact. For this 2014 ALAPP conference, a special attention will be dedicated to the topic of Learning through and for professional practice. ALAPP 2014 is over now! Thank you to all the contributors for their participation. Looking forward to meeting you in Milano from November 5th to 7th 2015 for the next ALAPP conference.